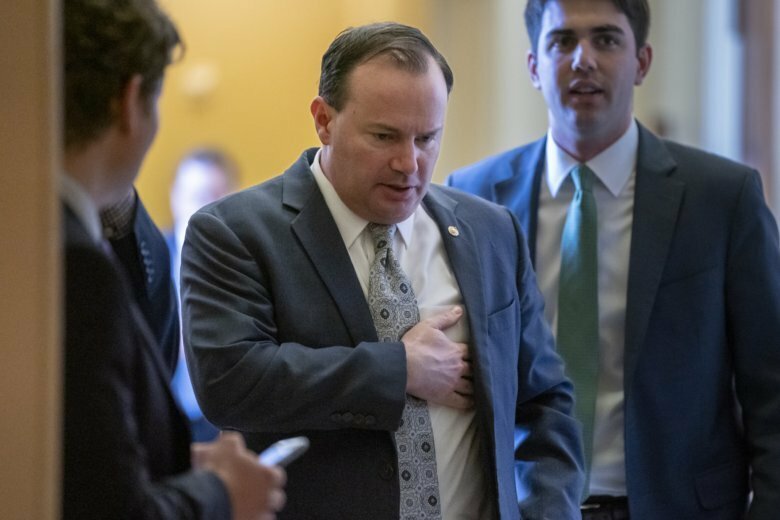 WASHINGTON (AP) — Twelve Republican senators sided with Democrats Thursday and voted to block President Donald Trump’s declaration of an emergency on the southwest border. Trump has vowed to veto the Democratic measure, which the House passed last month in a bid to stymie Trump’s efforts to spend billions of extra dollars on a U.S.-Mexico border wall. Of the dozen GOP senators who went against Trump, just one — Maine Sen. Susan Collins — faces re-election next year. — Marco Rubio of Florida: “We have an emergency at our border, which is why I support the president’s use of forfeiture funds and counter-drug money to build a wall. However, I cannot support moving funds that Congress explicitly appropriated for construction and upgrades of our military bases. This would create a precedent a future president may abuse to jumpstart programs like the Green New Deal” or other liberal ideas. — Pat Toomey of Pennsylvania: “I support what the president is trying to do. I don’t support the way the president is going about it, and to me that’s an important distinction.” Trump’s emergency declaration “set a troubling precedent” regarding the president’s ability to go around Congress and redirect tax dollars for other purposes, Toomey said.